Ahh ~~ Titanic. The tragic tale of a ship that never made it to it’s destination. A story of love and lost, hope and despair. 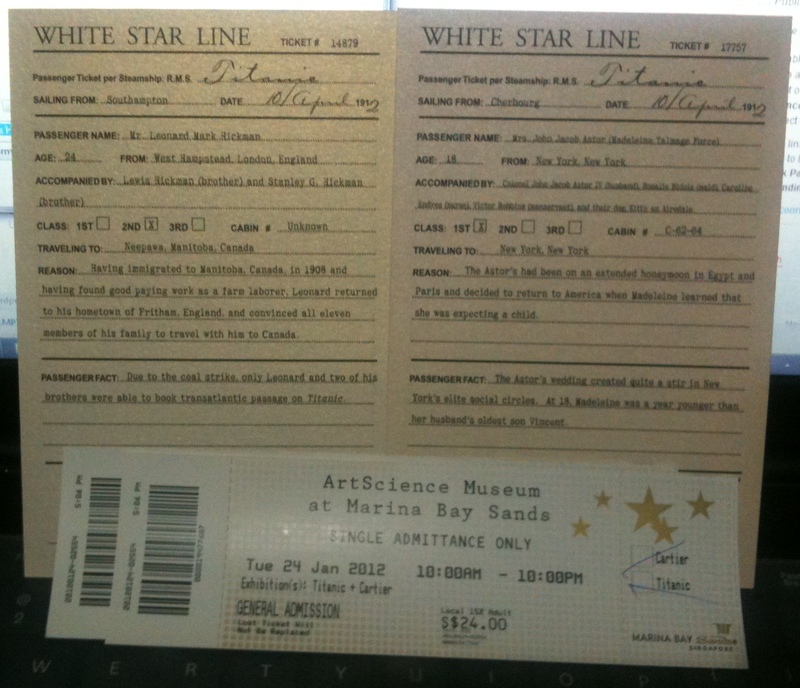 A couple of weeks back, I was at Marina Bay Sands with my partner and we decided to pay the Titanic Exhibition a visit, partly cause I was bored and didn’t wanna go home so early. The history of Titanic from its conceptualization/designing all the way till its last breath (and everything in between of course) – with various dates being put up to give the patron a better understanding of what was done during which date/day. And of course…stories and quotes of Titanic’s original passengers were shown. That was probably the most touching part. There were similar tales of ‘Rose and Jack’ told across, with some women even staying behind with their husbands. ‘Till Death Do Us Part’ indeed. Do drop by if you have the time. Really, it’s absolutely worth it. So…Valentine’s Day is around the corner, yes? How about some nice romantic love songs to set the mood?